The war diaries are never more emotionally engaging than when they show the effect the First World War had on the men who fought in it. Whether on individuals, or on the units as a whole and their attitude to the conflict, the weight of the long years of toil and sacrifice can be felt in the tone of the words, the brief glimpses into their innermost thoughts that some diary authors allow us. 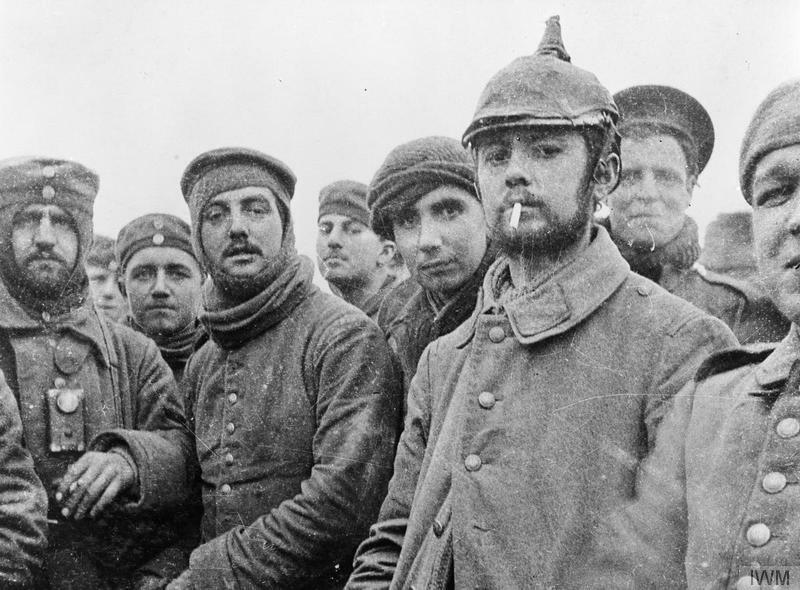 Like all stories, the First World War has a beginning, a middle and an end. How closely these intersected with the personal beginnings, middles and ends of the men we read about was often down to blind luck. For some, the end came all too quickly. Others saw out the whole story. 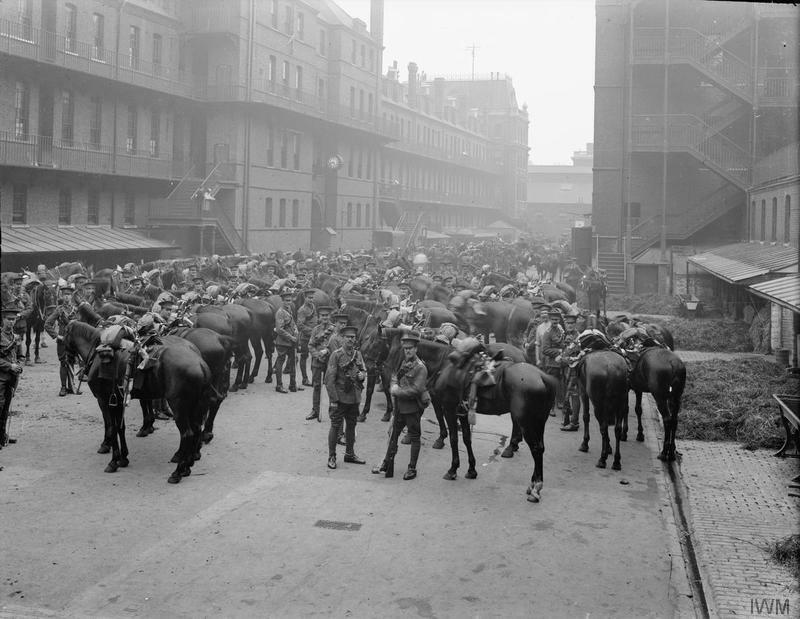 Image © IWM (Q 66223) – The 1st Life Guards parading before leaving for France. In narrative (as well as actual) terms, mobilisation was where it all began. Whether in India or the UK, the diaries are crisp, efficient. You get a sense of the great military machine grinding into action – reservists arriving at their depots, kit being issued, travel arrangements made. Then there’s almost a drawing of breath, a moment’s respite before we get to the middle of the story. 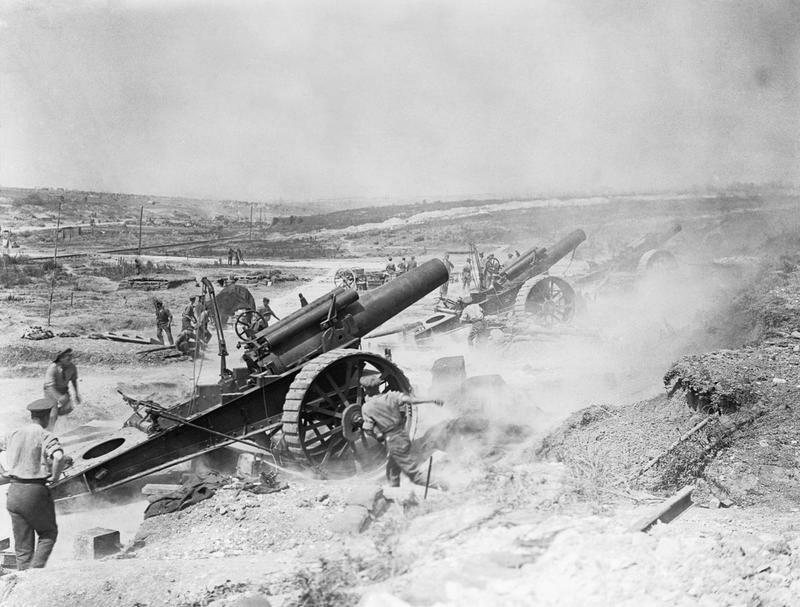 For some it’s a day or two, a boat ride across the channel and a train trip to the battle area. For others it’s a crossing from another continent. Either way, the destination is the same. Barely suppressed excitement leeches from the pages of some diaries, trepidation from others. 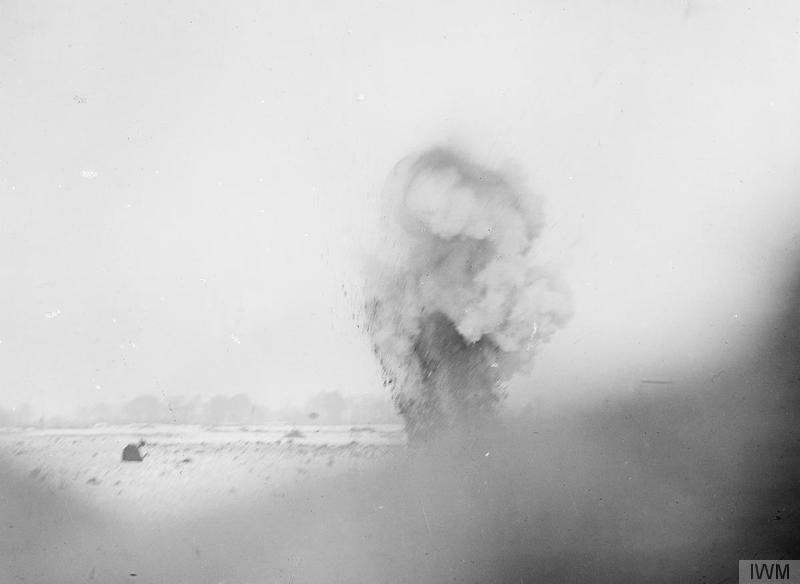 Image © IWM (Q 730) – Battle of Albert. 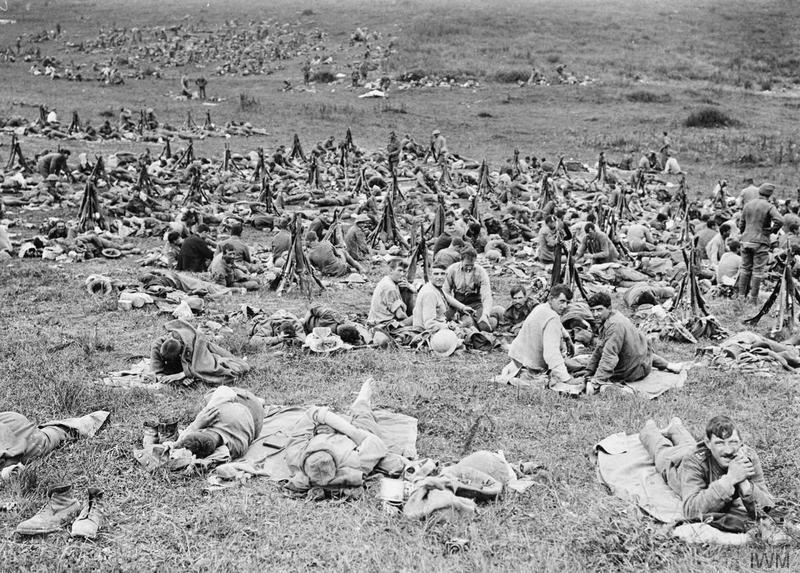 Men of the Royal Warwickshire Regiment resting in reserve; Jacob’s Ladder, opposite Beaumont Hamel, July 1916. The middle part is the longest, of course. 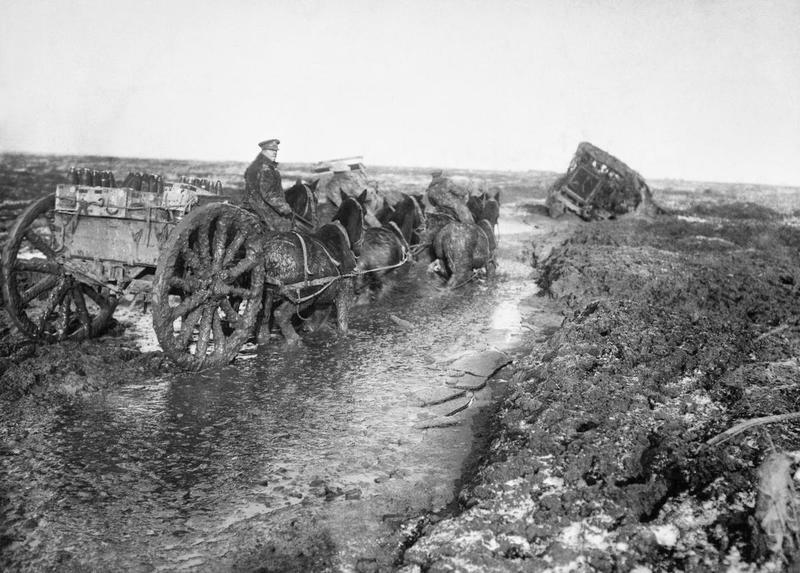 The four years of fighting, mobile at first, becoming bogged down in the trenches later on. This is where the changes are most noticeable – the switch from intrepid expeditionary force to hardbitten veterans of a war that must have seemed endless, life after life eaten up in the giant mincing machine. Each diary author deals with it in their own way. 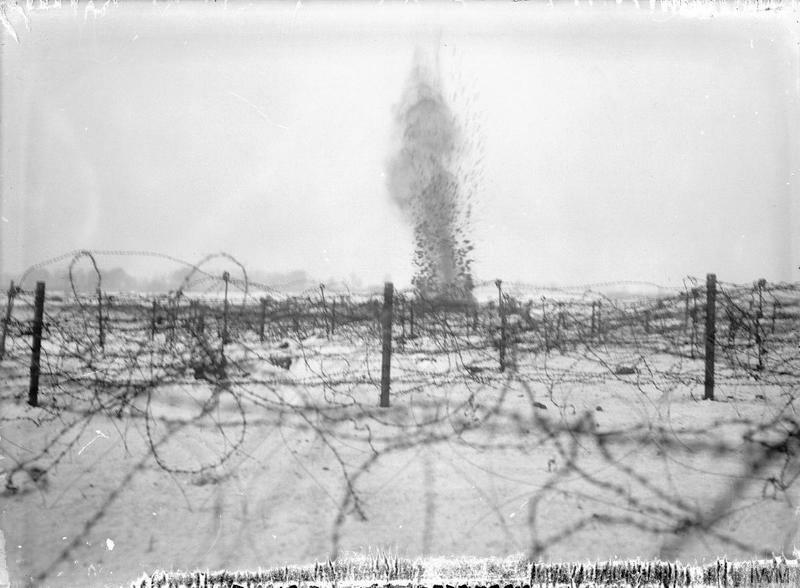 Some produce dry accounts of death and loss – casualty lists, terse descriptions of the circumstances in which their comrades died. Others turn to humour, describing the blackest of days in wry tones. Sometimes the official veneer slips – the army record becomes a more personal narrative, a snapshot into the mind of a man caught in the midst of hell. numerous green fields with hedges and trees bursting into bud make a most welcome change to the desolation left behind. 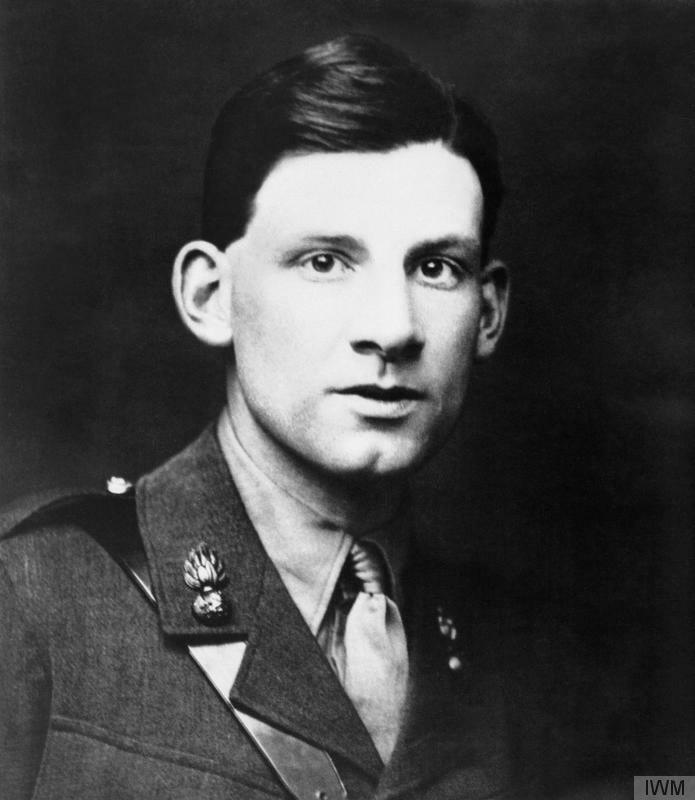 He goes on to describe the physical deterioration of the troops after six months of trench warfare. Those who have gone right through it…march with a shuffle, bent knees and backs beat with the weight of the…constant fatigues. 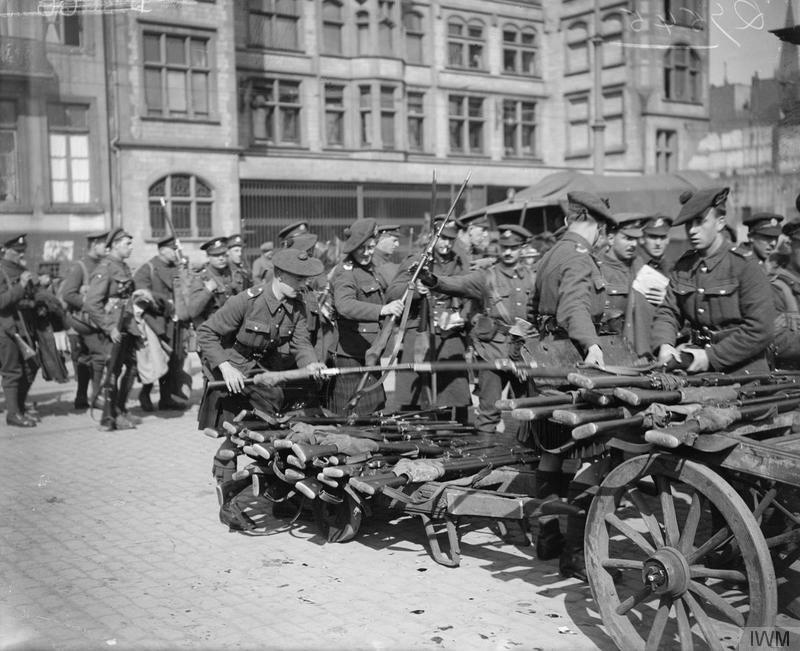 Image © IWM (Q 7545) – Demobilized men handing in their rifles before boarding the Rhine steamer. The steamer took them to Rotterdam on their way to England. Cologne, 23 April 1919. Finally, for those who made it through the long, gruelling middle the story came to an end: Demobilisation and the return home. 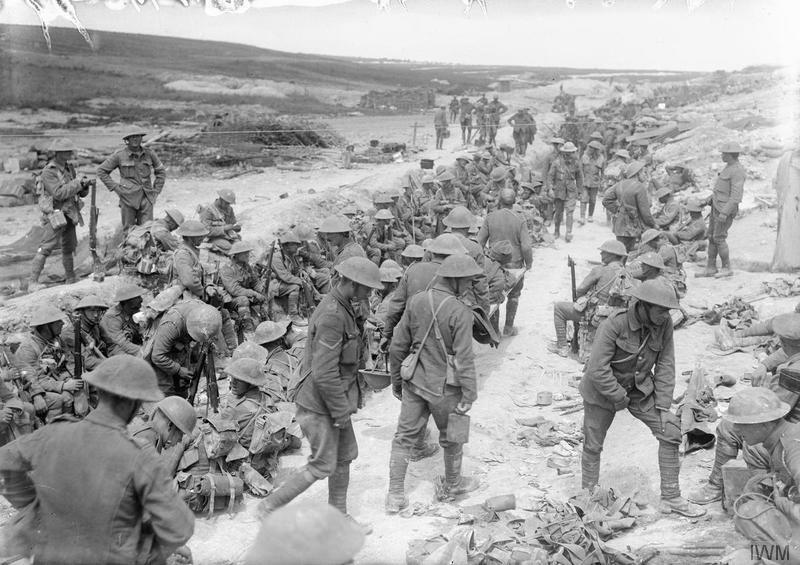 In many of the diaries, this was preceded by a period which many of the adjutants seemed almost bored by – a fighting army becoming a garrison, days filled with drill and training and lectures. After what had gone before, just imagine what a blessed relief that boredom must have been! 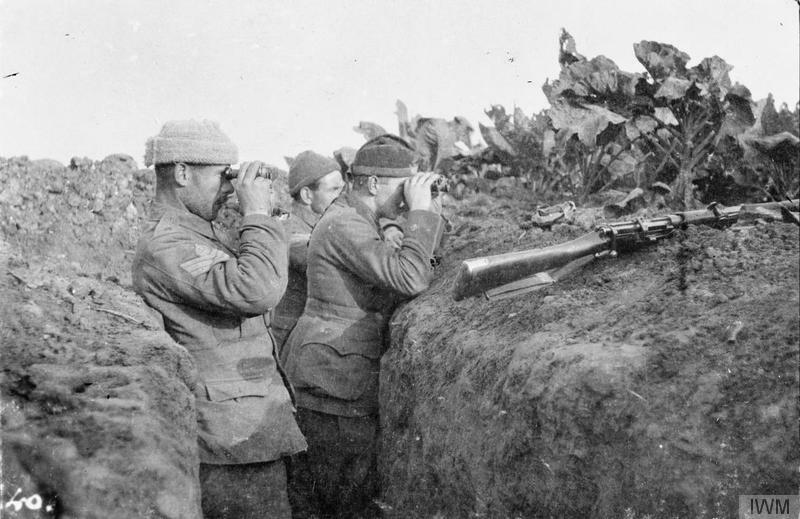 Stay tuned to the blog – in future posts we’ll have a look at the German Army of the First World War and try and build up a picture of the enemy the authors of our diaries were facing. 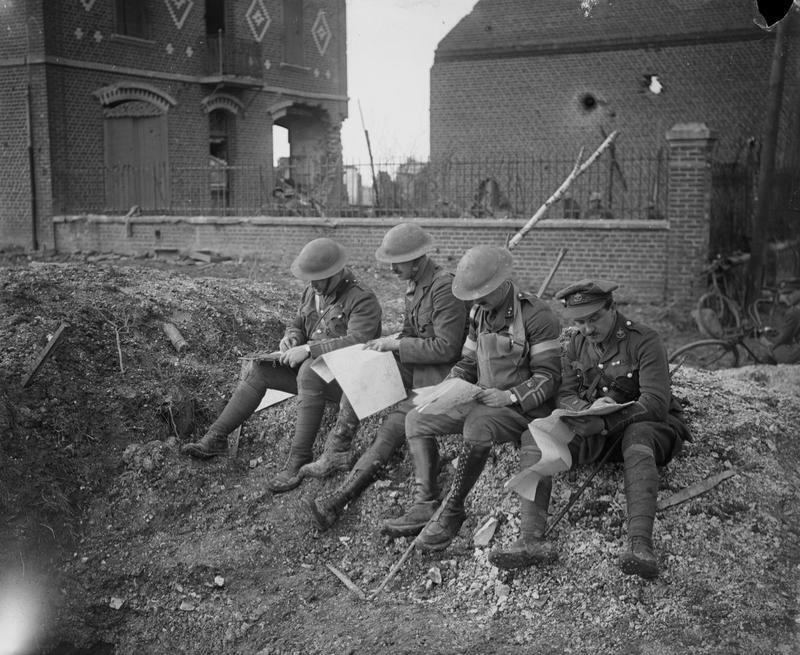 The National Archives will also be doing a series of posts on their ongoing digitisation of the war diaries – we hope to have some pictures of the original diaries to show you – pretty incredible to see the original documents we’re all tagging!